A business plan is a written document that describes the mission of the business, describes operational strategies including marketing strategies, and details the financial picture of the business, including a projected profit-and-loss statement. It requires identifying the issues critical for success and formulating strategies that are essential to the success of the safety net dental clinic as a business. Developing a business plan can also be a critical factor for successfully starting a safety net dental clinic by convincing stakeholders, such as a board of directors or funders, about the merits of starting the clinic. It is a planning tool that benefits both managers and potential lenders. It is a means of solidifying your ideas and challenging your assumptions. The ultimate purpose is to create a successful clinic. It also tells your clinic's story—past, present, and future—moving from your mission and goals to your planned growth and the financial projections that will support it. Also, a business plan is useful within the organization for evaluating achievements. Just as one would not start a cross-country drive without extensive preparation for such an arduous trip (making plans for stops and hotel reservations, and packing clothing, food, and drink), a person should not embark on a new business venture without a business plan for guidance. A business plan won’t automatically guarantee success, but it will assist in avoiding common causes of business failure, such as under-funding or lack of adequate marketing. Formulating the business plan will also help in identifying weaknesses in the startup plan that can be adjusted. In addition, it will also allow for discovery of other concepts and opportunities not originally conceived that will improve the business plan and can be instrumental in the success of the clinic. Standard formats have been developed for business plans used by for-profit businesses that sell products and services to customers. Business plan concepts can be employed in a format adapted for safety net dental clinics. A business plan should be adapted for the intended audience and the amount of time and money available for its production. Source: Abrams R. 2012. Entrepreneurship—A Real-World Approach. Palo Alto: CA: PlanningShop. pp. 75–77. Formulate the business concept on meeting the needs of the patients. Define the needs, and explain how those needs will be met. Understand the market. Identify the market you will serve, and explain why it will be receptive to receiving your services. Investigate industry health and trends. Be aware of industry conditions, and address them. For example, if there are multiple corporate oral health practices for children are present in your service area, how will this affect your safety net dental clinic? Create a consistent business focus and clear strategic position. Develop a clear, strategic position that differentiates your clinic from the competition (for example, corporate pediatric oral health practices) that will establish the core business of your clinic. Maintain the focus on the core business. Hire capable management. Competent management is a crucial factor in ensuring the long-term success of your clinic. Recruit, attract, and retain excellent, motivated employees. A safety net dental clinic is only as good as the professionals it employees. The ability to attract and retain outstanding employees is crucial to long-term viability and reflects on the reputation of the clinic in the community it serves. Take control of the finances when starting a new safety net dental clinic. A key to any business is the way it handles money. Not fully anticipating startup costs can place immediate pressure on a new business. Be realistic when planning the startup costs and cash-flow management needed to be successful. Things always cost more than anticipated. Build a financial cushion into your plan in order to allow for unanticipated expenses and delays. Implementing efficient systems and written financial policies from the start will go a long way toward achieving financial sustainability for your clinic. Anticipate and adapt to change. Change is inevitable, and the rate of change in today’s world is more rapid than it was in the past. In today’s health care environment, the safety net dental clinic needs to anticipate and quickly respond to change. It needs to hire employees who are adaptable and also to be able to train its employees quickly when change occurs. Being nimble and able to quickly evaluate and respond to changing conditions will lead to success. Examples of change for a safety net dental clinic are the implementation of ICD-10 coding that will drive reimbursement for oral health services or value-based incentives for Medicaid population outcomes results. Emphasize mission, values, quality and integrity. The need for financial sustainability is a given. But it has been demonstrated that clinics driven by mission, values, quality, and integrity succeed, survive, and thrive more than those whose sole motivation is monetary. The following illustrates how a safety net dental clinic might adapt the classic business plan structure for its purposes. A business plan should be presented in a binder or electronically and should have the following elements. Cover and title page. The cover and title page provide the first impression of your clinic and the plan. Take care to create the image you want to portray. The cover and title page should include the name of the organization, a short description of what the organization does, the words "business plan," the date it was completed, and the name of a contact person with contact information including address, phone number, and e-mail and website addresses. Readers want a plan that looks professional and is easy to read and well put together. Table of contents. The table of contents gives readers an overview of what is in the business plan and on which page to find the information. This allows the readers to quickly find the information or financial data they need. Executive summary or statement of purpose. This is a concise one- to two-page summary of what is in the business plan. It is not an introduction to the plan but a summary of the entire plan. It succinctly encapsulates the reason for writing the business plan. It explains the request (or goal) and justification. Because the full business plan may be too long or costly to reproduce, the executive summary should be used as a substitute in situations that do not require someone to have the plan in its entirety, for example, when making preliminary inquiries to potential funders. Business concepts: Describe the business, its services and products, the market it will serve and the business’s competitive advantage(s). Financial features: Include any financial highlights such as startup grants and fundraising support. Financial requirements: State how much capital is needed for startup or expansion and how it will be used. Current business position: Furnish relevant information about the safety net dental clinic (either existing or startup), its legal form, when it was founded, and key personnel. Major achievements: Point out anything that is noteworthy such as contracts received or commitments from patient groups and community leaders. Industry analysis and trends of the oral health care system for underserved populations. This section educates a reader about the health care safety net equivalent of industry and market. It also demonstrates to potential stakeholders that you understand external business conditions and the niche of the safety net dental clinic. Much of the information for this analysis should have been developed during your needs assessment (see Unit 1, Section 1). At this point, provide enough detail to convey the big picture. Subsequent portions of the business plan will provide greater detail. What are the consequences of a lack of oral health care for underserved populations? What types of people are affected most by disparities in access to oral health care (minorities, those with incomes under FPL, the working poor, people with special needs, or people who are homeless)? What is the oral health care safety net? Why is the oral health care safety net important? Why can't private dental offices meet the needs of underserved patients? What types of organizations provide safety net oral health services? How are they supported financially? What are the challenges in operating a safety net dental clinic? Other needs of high-risk populations. Recruitment and retention of oral health professionals. Integrating oral health care into overall health care. Meeting regulatory requirements if serving patients who participate in Medicaid or receiving federal grants. What are the forecasts for the need for oral health services and for the availability of safety net dental clinics? 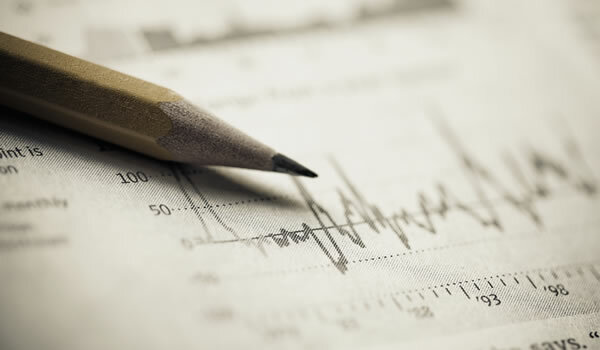 Consider future economic projections and forecasts for the economy both locally and nationally. What current events (national, regional, or local) provide a need or opportunity for expansion (such as economic downturns, cutbacks in other programs, availability of federal grants for startups and expansions)? Who will your clinic serve (target population)? Define your market in terms of size, demographics, structure, growth prospects, and trends. What are the geographic boundaries of your service area? How would you characterize the different types of patients who will be eligible for the clinic's services? Think special populations such as children, pregnant women, people who are homeless, people living with HIV, and people with diabetes or heart disease. Of those eligible for your services, what proportion do you expect to serve? What assumptions did you use to arrive at that figure? How many of each type? What are the funding sources and projected revenue for each of these groups? What other oral health care resources exist in your area (the competition)? Are there other safety net clinics? Are they overburdened or is there unused capacity? Are there private dental offices that accept public insurance? Are there corporate pediatric dental offices serving primarily patients who participate in Medicaid? What is your niche in terms of the type of oral health services you will provide and the people you will serve? What will you charge for oral health services? How does your fee structure compare to competitors? Agency or organization overview. This section helps the reader understand your organization. It features the basic, factual details about your organization such as legal status, ownership, services provided, company mission, and milestones achieved to date. The mission statement and the goals and objectives (short- and long-term) of the organization and of any project being described (discussed in Unit 1 in Section 1 and Unit 1, Section 2). Is it a 501(c)(3)? Is it an FQHC? Does it have other legal status? How long it has been in operation? What is its growth history? Scope of program and services. This section gives the reader a thorough description of the services you are providing or the new services you will provide if you receive funding. There must be enough detail so the reader fully understands what you are doing or what you propose, but not too much so that the reader loses interest. The technical details of oral health services (like a description of all the instruments used for root canal therapy) may be of interest to dentists but should be avoided in the business plan. Know who your audience will be, and write accordingly. It will suffice to list the different categories of oral health services provided, (such as emergency, preventive, restorative, prosthetics, and other specialty services (see Unit 1), provide a short description of what services are included in each category, and explain why the services are important. Statistical information is also helpful. For example, include the number of each type of service provided, dollar value of these services, and number of patients receiving services. This is also the section where more detail should be included about oral health services targeted to special populations such as children, pregnant women, or people who are homeless. If service expansion is proposed, describe how the anticipated funding will result in additional services to the target populations. Include estimates of the anticipated increase in number of visits. Also include a description of any build-out requirements and equipment needs. Management and organization. This section describes the key management personnel running the organization and how your operations will be structured from a personnel point of view. A key element to success is having people with the skills and a track record to make a project successful. Sometimes, a proposal that is tied to exceptional individuals in whom a funder has confidence will be approved over a proposal of similar quality staffed by individuals without a strong track record. The description of management should include an organizational chart. It should demonstrate the managerial relationships or chain of command structure and how decisions are made. The description of staffing should include a brief summary of each of the top managers, explaining their expertise and suitability for their role in the organization or new project. Short resumes (one to two pages) of key staff members should be included in the appendix. Marketing and outreach plan. This section outlines how you will reach out to patients, convey a positive message about the oral health services you will provide, build a brand or positive image in the community, and engage patients in making appointments and receiving oral health treatment. Marketing oral health services to families with low incomes or underserved populations may seem unnecessary, considering that most safety net dental clinic patients have no other places to obtain oral health care and most clinics have long waiting lists for appointments. However, potential funders need to know how you will reach out to patients in order to fulfill proposed capacity and service goals. This outreach can include radio, television, or billboard advertisements as a part of a community ad campaign. It can also include posters, brochures, and other handouts to established medical patients if the clinic is part of a larger health care organization. Outreach efforts to community groups, schools, and community centers is an effective way to market your services as well. The outreach plan should demonstrate to potential funders and key stakeholders that the organization's services will be adequately utilized and achieve the stated service goals. As important as recruiting patients, the marketing and outreach plan should also promote a positive image of your organization and services as offering quality, compassion, and caring for those who are in need in your community. Image, perception, and reputation and how your community perceives you are extremely important in the community-service business, especially if fundraising will be an integral part of your business plan. As such, it is important to keep your organization in the public’s eye in a positive manner on a continuing basis. Why will your clinic attract your target population? Who else in the market provides the same or similar services? What is your competitive advantage? What makes you unique? How is the fee schedule determined? How does it balance affordability for the patient with adequate revenue for the clinic? Is your clinic accessible to patients? Is public transportation available? Will your clinic provide transportation or vouchers for those who need them? Will there be extended hours for better patient accessibility? How will you promote your clinic? How will patients know about the clinic? Will you use community ad campaigns via radio, television, or outdoor advertising? Will there be outreach to schools, community centers, and other organizations? Will you engage in internal marketing to established medical patients if the clinic is part of a larger health organization? What are your short-and long-term estimates of patient volume? What is your positioning strategy? Describe your positioning strategy, which differentiates your services from those of competitors and determines which market niche to fill. Positioning helps establish your clinic’s identity in the eyes of the community and potential patients. The positioning statement points out who is the target market, how you’ll reach them, what services they will receive from you, who your competitors are, and why you are unique. Operations plan. For a service business such as a safety net dental clinic, the operations plan should describe how patients are served and how the management side of the organization works. If a new building or new program is contemplated, this section should describe how that new activity will be carried out. Provide information about the system of patient care, the management system, and the plan for implementing and operating a new project, if applicable. How patient eligibility for services is determined. Staffing levels and types of oral health professionals. How patient charges are determined. How fees will be collected from patients. How broken appointments will be managed. How the use of electronic dental records will increase efficiency and availability of information. The different departments in the organization, with a brief description of each, especially those related to any interaction with the safety net dental clinic or its patients. How administrative and management staff interact and relate to each other. The use of management and control systems, such as productivity and financial statements. An outline of the meeting structure to promote the continuous operational improvement of clinic operations. The development phases of the project. The project timeline, including deadlines for completion. Who the project manager is, and who is responsible for other phases of the project. Roles of existing and new staff. Sources of funding for the project. The patient-service goals of the expansion project in terms of the numbers of patients and oral health services provided. Integration of new activities into existing operations. Financial plan. This is a set of financial statements showing the current financial status, future predicted income, and expenses of the safety net dental clinic. The financial plan is a very important component of the business plan because it expresses in numbers what the rest of the plan has sought to convey in words: that the core business and any planned expansion makes financial sense. This section requires attention to detail in order to demonstrate that the organization has done its homework and has a plan for a truly sustainable clinic. If the organization is seeking a project loan, this section addresses the funding needed and the how and when the loan will be repaid. An income statement demonstrates whether your business is making a profit by delineating the income and expenses for a designated period (monthly, quarterly, semi-annually, annually). It is a report that reflects on the revenue-generating ability of the business. It is a scorecard for the financial performance of a business that reflects when services are produced and paid for and when expenses are incurred. It draws from various financial parameters such as revenue, expenses, capital (in the form of depreciation), and cost to produce services. By combining these elements, the income statement demonstrates how much revenue the business makes or loses during the year by subtracting costs to produce services and expenses from revenue to arrive at net results. Also, a brief summary should be included that analyzes the key results. A cash flow statement shows whether the business has the cash to pay its bills. It is a critical report that shows how much cash is needed to meet obligations, when the cash is required, and where it will come from. The result is the profit or loss at the end of each month and year. The cash flow statement carries both profits and losses forward to the next month to demonstrate the cumulative amount of the profit or loss. (Running a loss on the cash flow statement is a major red flag that indicates not having enough cash to meet expenses and is something that demands immediate attention and action.) For a new business, it is suggested that the cash flow statement be prepared on a monthly basis during the first year, quarterly for the second year, and annually for the third year and beyond in order to keep your finger on the pulse of the critical cash flow needs during the startup phase of the business. A balance sheet shows how much the business is worth overall. It is generated annually and is a summary of all financial information broken down into assets, liabilities, and equity. Balance sheets are used to calculate the net worth of the business. In a safety net dental clinic, this is probably one the least important reports in the business plan, as selling the business at a profit is usually not a concern. However, there still are occasions when a safety net dental clinic is sold or taken over by another entity, and the balance sheet can be important under these circumstances. It can also be important to funders during the startup process. A break-even analysis shows the point at which income exceeds expenses. Advisable for internal planning. A startup-costs report for a new business shows the initial investment necessary to begin operations and provide services. A report of sources and use of funds shows where you will receive the startup dollars and how the money will be spent. Potential funders will want to see this. An assumption sheet demonstrates to those reading your financial statements how you determined and derived your figures and financial projections. It is submitted in support of the other reports. In a nonprofit business or public organization, the financial plan may discuss a number of financial reports and projections (see Unit 3, Section 2) that will most likely be included in the appendix. The nature of these reports and projections will all depend on the requirements of the funders or grant requirements contained in the request for proposal (RFP). First year operating budget or projected profit and loss statement. Multi-year budget projections (4–5 years). In addition, you may need to include a cash flow forecast for the first year. Clearly stated assumptions that are used to develop your projections. For organizations that have been operating for several years, the financial plan should also present historical financial information (such as past 3 years' balance sheets and statements of activity). This gives the funder or grantor a glimpse into the past financial experience of the organization to help evaluate financial risk. Technology plan. This section outlines what technology will be used in the safety net dental clinic, and how. Some examples of technology for use in the clinic include electronic dental records, integration of electronic medical and dental records, digital radiology, digital impressions, the use of computer-aided design and manufacturing in the fabrication of crowns and dentures, and lasers. Community involvement and social responsibility. In this section, describe your business values and how you will act on those values. Identify how the practice will be a good community partner, which should be an easy sell for safety net dental clinics owing to the nature of the business, since it is intended to provide access to oral health care for the underserved. Development and milestones. This section shows where the safety net dental clinic will be in several years’ time, how you will get there, and the milestones you plan to reach along the way. Appendix. This section is the place to include required supporting documents. The executive summary is the most important part of the business plan, especially if you are seeking financing or funding. Only a clear, concise, and compelling summary of your business, up front, will persuade readers to continue reading the rest of the plan. The executive summary alone must convince the reader to spend the time to find out about your safety net dental clinic startup or expansion. It may be helpful to obtain technical assistance from a variety of professionals when writing a business plan. In many communities, technical assistance can be obtained at no cost from small business development centers and the SCORE (Service Corps of Retired Executives) program.